Quirky. Unique. Vibrant. These are some of the words that come to my mind when I think of the room that I stayed in at the Woolpack Inn. Located in the peaceful and picturesque village of Warehorne, with the St Matthew’s church right opposite, is the 16th century inn - the Woolpack Inn. 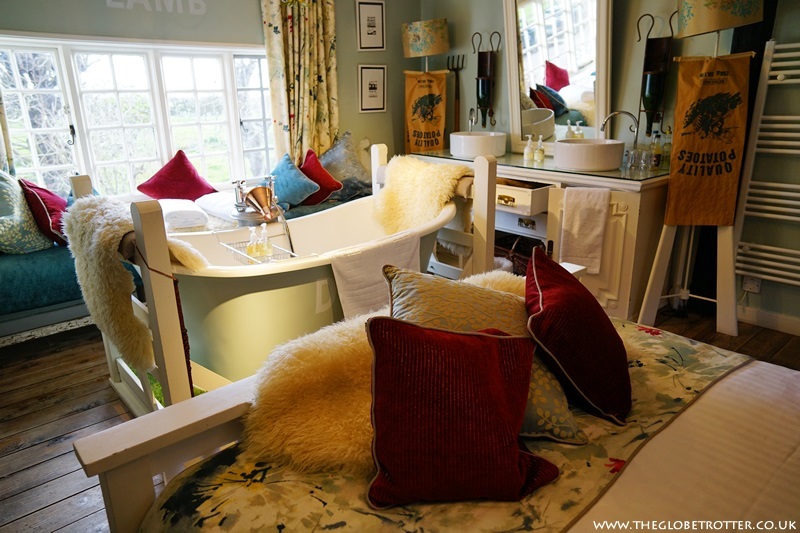 It is a part of the Ramblinns group who have a collection of country inns in lovely little towns in Kent and East Sussex, including the Five Bells Inn in Brabourne (where we enjoyed a stay last year). Woolpack Inn is very much a reflection of the eccentric style that I associate with Ramblinns. 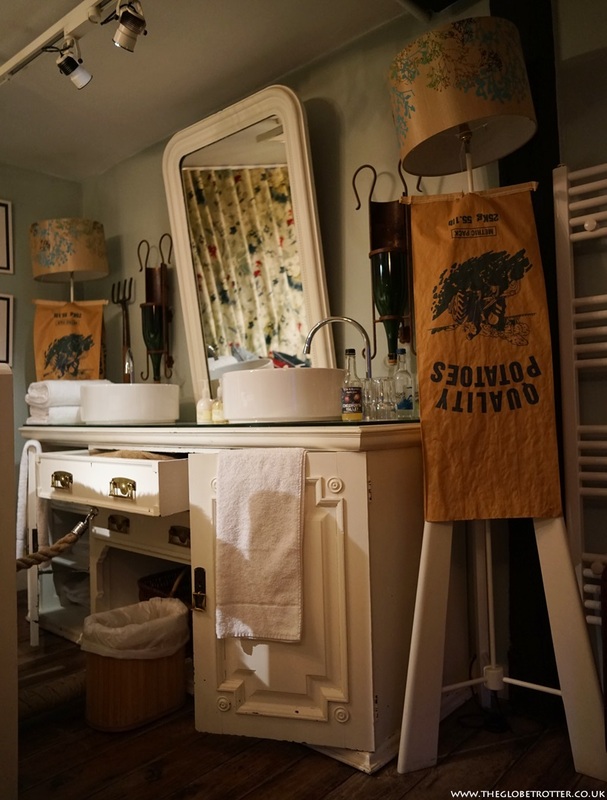 The rooms at Woolpack have an unconventional but tasteful design and the service and atmosphere in the pub is very much similar to the Five Bells - one can see a consistent aesthetic that is very much needed to create an authentic pub ambience. No wonder the pub seemed quite popular with the locals. 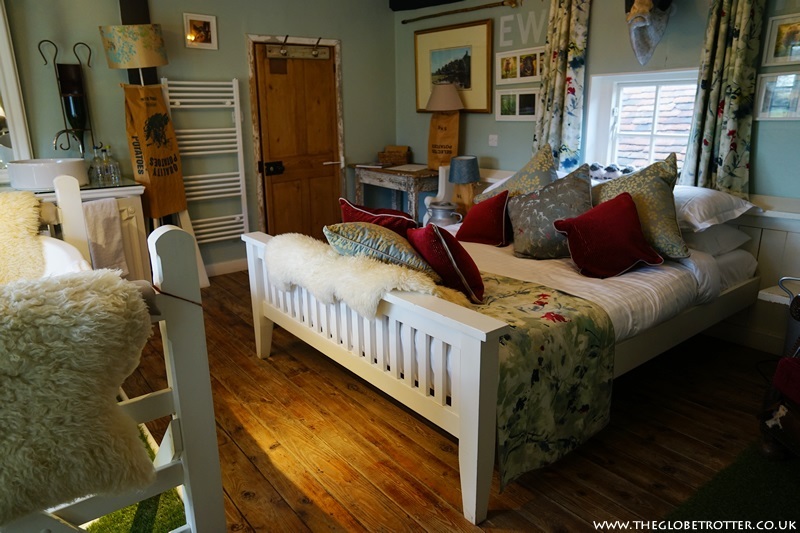 Woolpack Inn has five comfortable and quirky rooms - Honeychild, Josephine, Frederick, Niddy and Noddy! 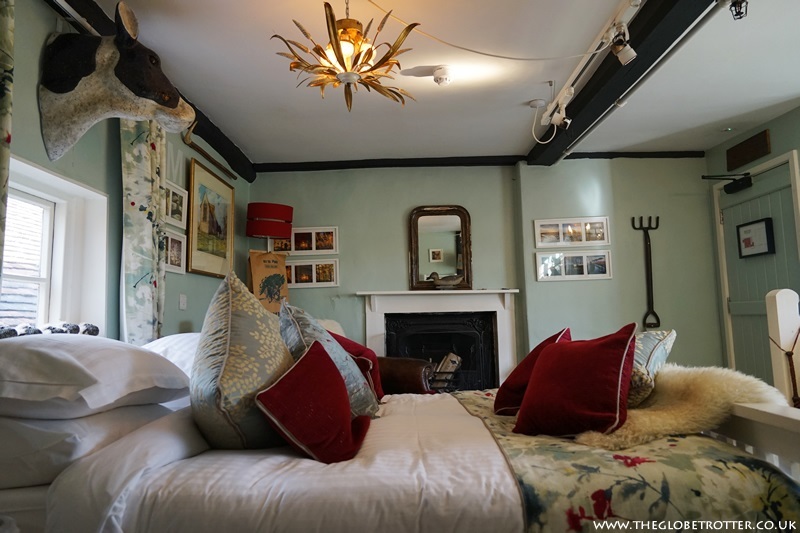 All the rooms are packed full of character and have fun stories associated with them. Niddy is named after an antique spinning wheel while Frederick is named after the Woolpack’s friendly ghost! 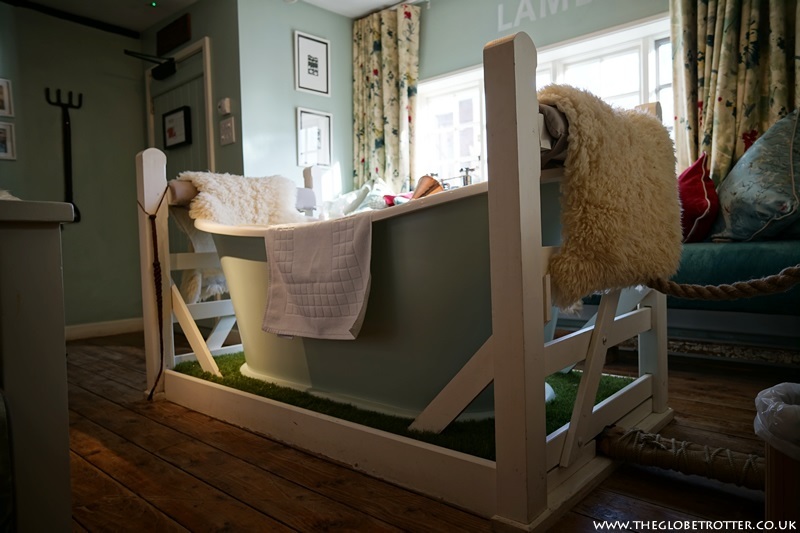 I stayed in Honeychild which is named after a Romney Marsh sheep-rearing estate. 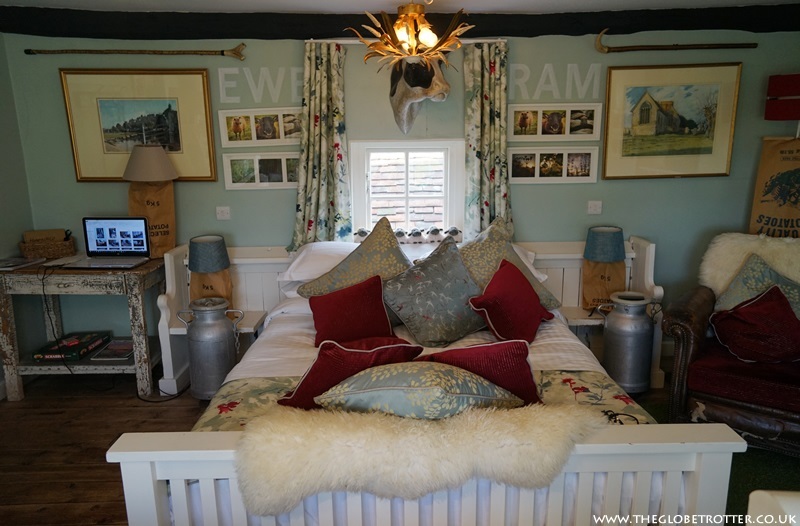 The room was distinctive with a lovely freestanding bath and accessorised with fun and luxurious touches - lots of cosy sheepskins, beautiful photo prints, milk churns as decor pieces and a large wall mounted cow head! The room was packed with conversation starters. I loved the room, the moment I stepped into it. The room afforded views of the village church and the beautiful countryside beyond. It was so peaceful in the night that I barely heard any noise. Perfect for a great night's sleep! The Woolpack has a fab collection of local ales, craft beers, artisan gin. Also on offer are a number of Kent and Sussex wines. Woolpack offers a seasonal all-day menu with many pub classics. I enjoyed a hearty Potato & Leek soup and a Bonfire Pizza with a selection of toppings (goat's cheese, peppers, mushrooms) - fresh and made with local produce. Breakfast was lovely too! Simple but flavoursome food with excellent service! The location! Woolpack's tranquil rural location was definitely a key point. 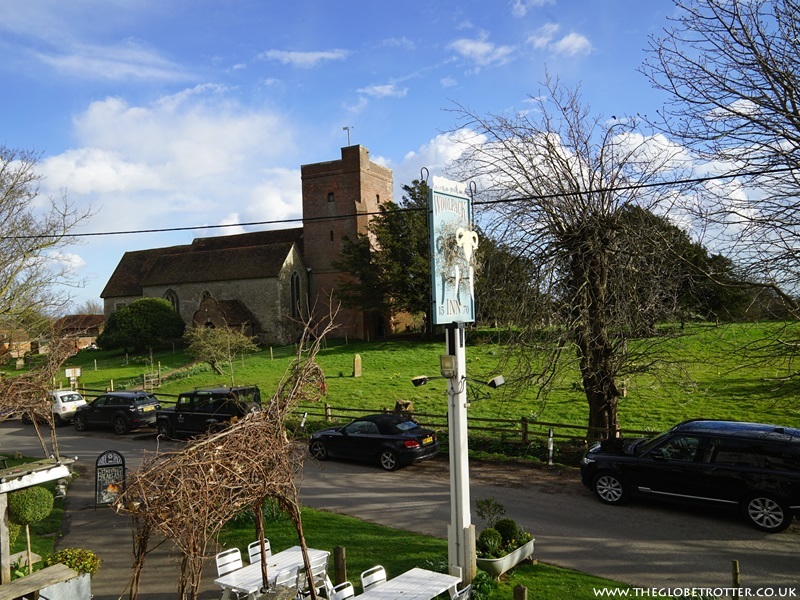 The inn is ideally located to explore the Kentish countryside. 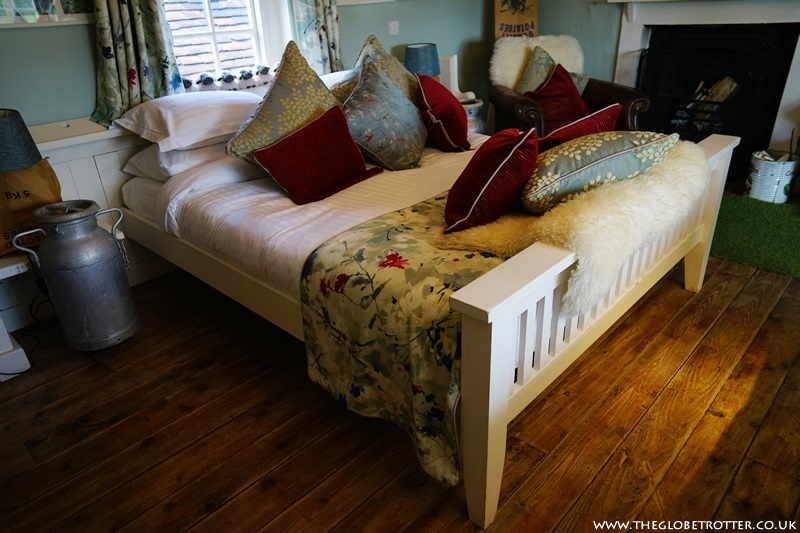 Whether you are looking to spend some quality time with your partner or are looking to enjoy some solo time, Woolpack Inn offers the chance to escape the hustle and bustle of daily life. Surrounded by stunning countryside, the inn is perfect for those who love the outdoors. With the inn as your base you can explore the surrounding areas or you can even ramble between Ramblinns' inns! Yes, you can walk from the Woolpack to the Globe Inn Marsh in Rye and after a night or two there, you could continue further to the Five Bells in Brabourne. Ramblinns will even transfer your luggage for you from one inn to the next. In addition to the location, another plus point of my stay was the service. All the staff were fantastic and helpful; always with a genuine smile and ready to help. The same as it was at the Five Bells Inn. Ramblinns seem to follow and believe in the mantra, Happy staff = happy customers. And that is one good reason to visit and stay at Ramblinns. 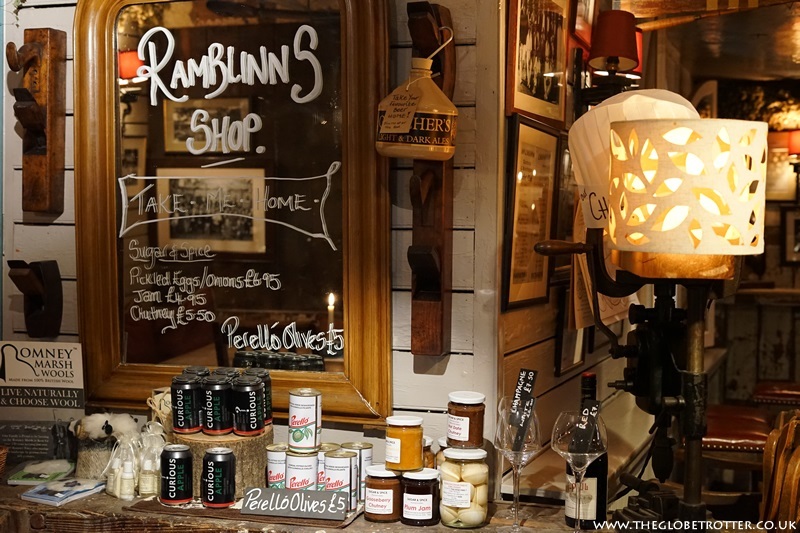 I was a guest of Ramblinns for the purpose of this review. All views and opinions are my own.